Spokesman of the Ministry of Health in Gaza Ashraf al-Qidra said that the children Amin al-Namara, 15, and Lo’ai Koheel, 16, were killed when an Israeli warplane attacked Al-Katiba Park in the west of Gaza City. Meanwhile, the spokesman said, 30 people, including children and women were wounded in the Israeli airstrikes. He said that there are three of the wounded suffering serious conditions, calling for the whole world to help affording the medical equipment and medicines needed for the patients and wounded in Gaza. Israeli occupation started the escalation, claiming it wanted to change the deterrence rules and end flying children kites from Gaza towards Israel. Officials from the ministry of health said that the Israeli strikes hit a park and the headquarters of the ambulance services, causing much damage to the children toys and several ambulances. At the end of the day, the Palestinian resistance movement Hamas announced that a ceasefire was reached after Egyptian and international mediation. GAZA, PALESTINOW.COM — The Hamas Movement has held the Israeli occupation state fully responsible for the consequences of its aggression against Gaza and its persistence in committing follies. 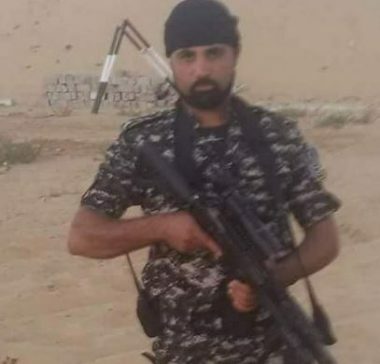 “The enemy’s intentional targeting of Gaza children and its murder of two kids, Amir al-Nimra and Louay Kaheel, reflect the size of its crimes and brutality,” Hamas spokesman Fawzi Barhoum stated in a press release on Saturday. Barhoum said that Israel’s killing of children in Gaza came after it failed to target the Palestinian resistance, which acted very responsibly and defended its own people. The spokesman also applauded the Palestinian resistance for assuming its role in protecting the Palestinian people and responding strongly to Israel’s attacks on civilians, institutions and resistance posts in Gaza. Israel launched over 80 air raids on Saturday on different areas of Gaza, claiming the lives of two children and wounding 25 others. The aerial attacks also led to material damage to several homes and public buildings. 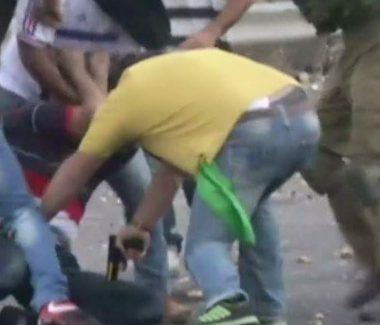 The Israeli occupation forces (IOF) at dawn Sunday confiscated video recordings of security cameras from a gas station in al-Khalil city after another special force kidnapped a local young man from the same place. Local sources told the Palestinian Information Center (PIC) that plain-clothes soldiers stormed a gas station in Ras al-Jura area and rounded up a young man. Soon later, uniformed troops stormed the same station and seized CCTV camera recordings before withdrawing from the area. Israeli bulldozers on Sunday afternoon demolished two residential buildings in Khirbet al-Marajem which is part of Duma village east of Nablus city. 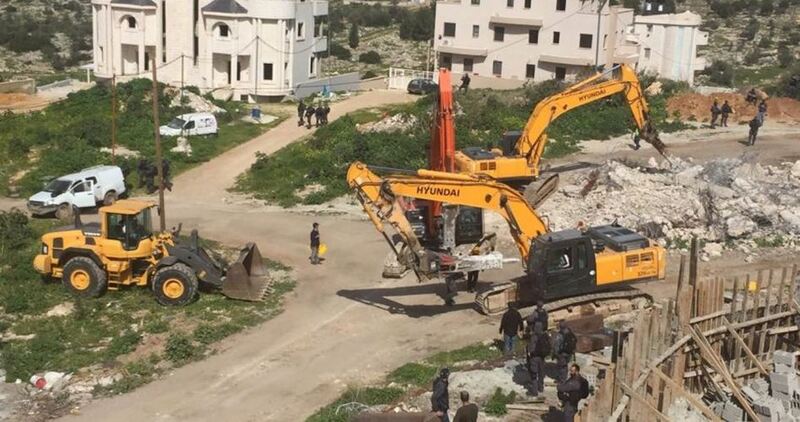 Head of Duma village council Abdul-Salam Dawabsheh said that bulldozers, escorted by Israeli occupation forces, stormed Khirbet al-Marajem and demolished the two houses. Dawabsheh added that one of the houses is 4 years old while the other was built about 30 years ago. He pointed out that the Israeli occupation authorities handed demolition notices a week ago to the owners of the two houses who later submitted objections to the authorities but received no response. Khirbet al-Marajem, located southwest of Duma, is inhabited by a number of Palestinian families that depend on farming and herding sheep. Details about Saudi Arabia’s arrest of the prominent Islamic scholar Safar Al-Hawali and three of his sons have been revealed by activists on social networking sites. Al-Hawali was detained on Thursday, just a few days after the publication of his book, Muslims and Western Culture, in which he attacks the policies of the current Saudi government, especially its rapprochement with the United States, the UAE and the Egyptian regime of Abdel Fattah Al-Sisi. The Twitter account operated by “Prisoners of Conscience” explained that the officers who arrested Al-Hawali at dawn on Thursday arrived at his home in the village of Hawala with an ambulance. This proves, they insisted, that the authorities were well aware of his critical health condition — he suffered a brain haemorrhage in 2005 and still suffers from its effects — but still took him to prison. At the same time, the Saudis also arrested Al-Hawali’s brother, Shaikh Saadallah, in what was described as a “barbaric” manner, which frightened his family. He was taken by masked officers to an unknown destination; nothing has been heard about him since. Quoting unspecified sources, the account on Twitter claimed that the authorities separated Shaikh Safar Al-Hawali from his sons in prison. He was transferred to Riyadh, while his sons were taken to Jeddah. In his book, the 68-year-old scholar discussed the internal differences between the members of the ruling Al-Saud family, which are in the public domain and, he argued, pose a threat to the Kingdom. He also criticised the Saudi participation in the siege of Qatar. Publication of the book sparked widespread controversy on social networks. While his son attributed the book to his father, others who know Al-Hawali well are sceptical about the claim, not least because of the words attributed to him. Safar Al-Hawali came to prominence as a member of the Sahwah movement, which is close to the Muslim Brotherhood. During the 1991 Gulf War he surprised everyone with his courage and unconventional political rhetoric. He publically opposed the intervention of US forces and their presence on Saudi soil. Having disagreed with the government of the then monarch, King Fahd, and the religious institutions led by Shaikh Abd Al-Aziz Bin Baz, he was imprisoned for many years. For almost a year, the Saudi authorities have arrested clerics, academics and others who were, they allege, working “for the benefit of external parties against the security and interests of the kingdom.” Critics suggest that the only “crime” of those arrested is that they did not back the Saudi government in its campaign against the State of Qatar. 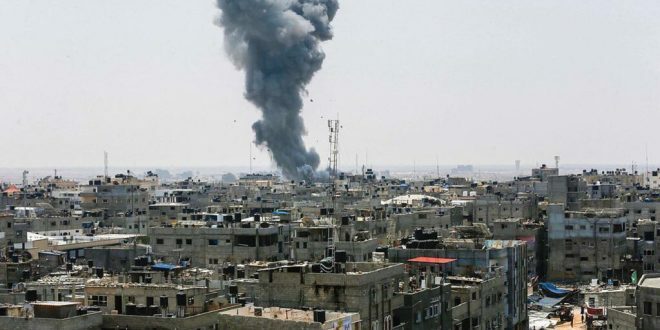 One Palestinian was wounded on Sunday afternoon by an Israeli reconnaissance aircraft which targeted a group of civilians in the northern Gaza Strip. 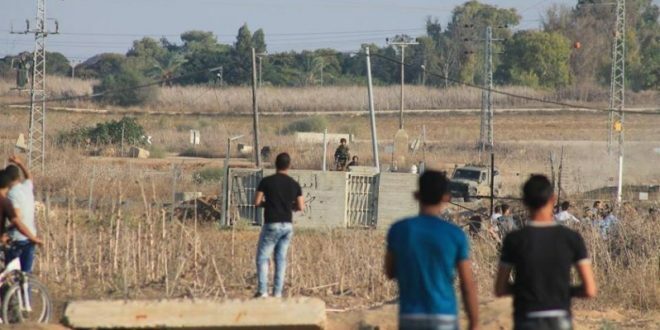 Local sources said that a Palestinian was injured by the occupation of a group of citizens in the northern Gaza Strip. The targeting comes a day after the announcement of the truce between the resistance and “Israel” after a wave of escalation in which two children were killed and wounded several others. Luay Akka, a lawyer with the Palestinian Detainees’ Committee, stated Sunday that two detainees have suspended their hunger strikes after reaching agreements with the Israeli Prison Authority, ending their arbitrary Administrative Detention, holding them captive without charges or trial, while three others continue their strike, demanding their freedom. Akka said the two detainees, Khader ad-Dalo and Salim Rajoub, have suspended their strike after receiving assurances that their current Administrative Detention orders will not be renewed again. He added that the two detainees started the hunger strike ten days ago, along with Mahmoud Ayyad, Islam Jawareesh and Issa Awad, who continue their open-ended hunger strike demanding their release. Akka further stated that Salim Rajoub, from the southern West Bank city of Hebron, already served two administration detention orders, each for six months, and added that Khader ad-Dalo, from Bethlehem, has been held under the same orders for more than twelve months. Furthermore, detainee Islam Jawareesh, from Aida refugee camp, north of Bethlehem, Issa Awad and Mahmoud Ayyad from Deheishe refugee camp, south of the city, have been held under Administrative Detention orders for the past eighteen months. 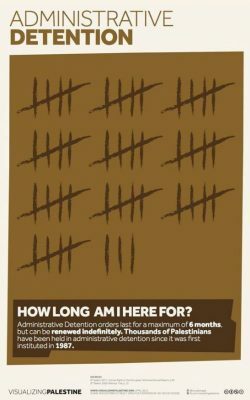 It is worth mentioning that 450 Administrative Detainees have been boycotting Israel’s Administrative Detention court since February 15, 2018, demanding an end to this illegal policy, holding them captive for extended periods, without charges under the alleged “secret files” which neither they, nor their lawyers, have access to or can know anything about their contents. Israeli soldiers kidnapped, on Sunday at dawn, a young Palestinian man at a gas station in Hebron city, in the southern part of the occupied West Bank. 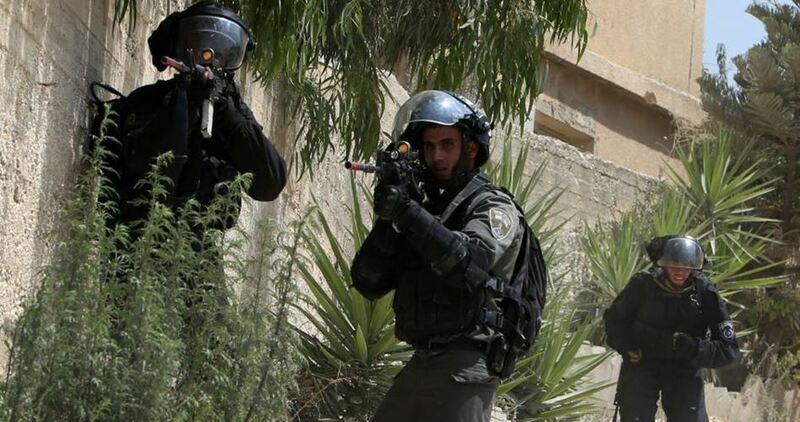 Media sources in Hebron said the undercover officers invaded a gas station in Ras al-Joura area, in Hebron city, and kidnapped Malek al-Ja’bari, before forcing him into their car, and took him to an unknown destination. They added that, just the undercover officers were leaving the gas station with the abducted teen, Israeli soldiers invaded it and secure their retreat. The soldiers also removed and confiscated surveillance tapes and equipment from the gas station, before withdrawing.